55km cycling event starting from Honeybourne, E of Evesham. Controls at Cafe At Gliding Club, plus 4 information controls. A nice ride around the local area between the River Avon and the Cotswold Hills. 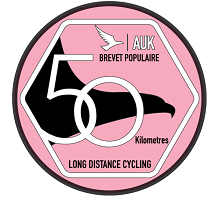 The course is aimed at young riders and less Experienced Audax riders. After the ride there will be Refreshments at the Village hall.